Tomorrow (Monday 13 June) sees the second My Beauty event in Margate. This is a special screening of a surprise beauty queen feature film at the wonderful Tom Thumb Theatre, 2A Eastern Esplanade, Margate CT9 2LB. I am told that the former-owner of the Tom Thumb was a beauty queen. So it’s great to have a venue with a link to Margate’s beauty queen past. The bar upstairs opens at 7pm, with the screening beginning at 7.30pm. Admission is free for any woman who was an entrant in Margate beauty shows, from Westbrook to Cliftonville and Miss Socialist to Miss Rovex or even Miss Lovely Legs at the Lido. Bring your photos and your memories as My Beauty takes over Club Hydropathe film club at the Tom Thumb for one night only. If you can’t make this event, then there is another at Dreamland on 18 June, from 1-5pm. You don’t need to pay to get into the part where I will be (inside the main entrance on the seafront). But former-beauty queen contestants will be given free admission to Dreamland itself. Last week’s event at Batchelors was a great success, with lots of beauty queens coming along. It has been a busy few days in Margate and I have been dashing around meeting women who took part in beauty queen shows in the area. 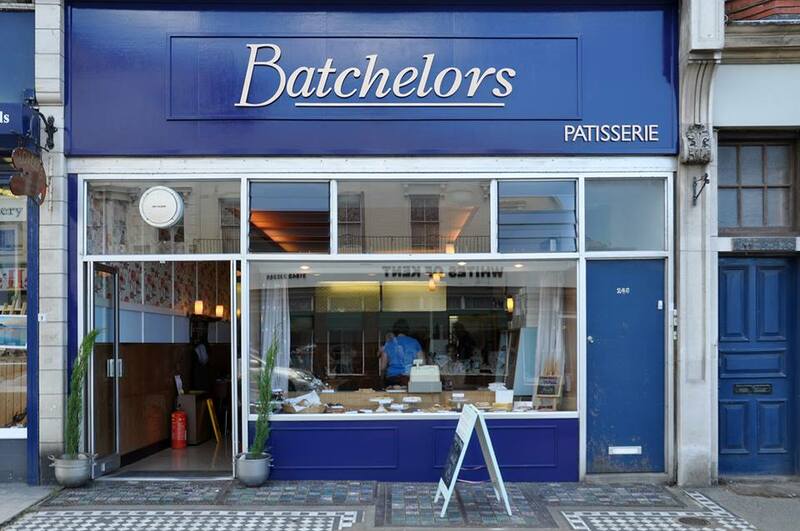 Today I get to sit down for a while and meet beauty queen contestants and anyone interested in the project at the wonderful Batchelors Patisserie in Northdown Road. It’s the sort of venue a beauty queen would have hung out at in the 1960s or 1970s, sipping a coffee or enjoying one of their much-loved doughnuts or pastries (this was an era before size zero). The furniture is still largely original, dating back to the opening of the famous bakery. 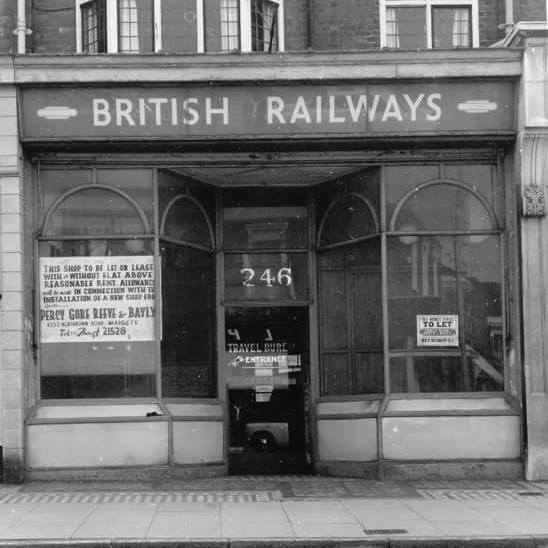 Before that, the building was a travel agency, largely selling rail tickets. I’d always assumed it was too posh for me. I don’t think I went in until I was 40. I shall be there from 1-4pm today (Thursday 9 June). So do come and say hello. I shall be taking the Roy Hudd role from this picture. 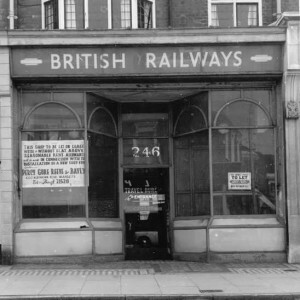 Below you can see Batchelors as it is now and as it was in the late 1950s. My Beauty feels like it has been under way for some time, from meeting the beauty queens who inspired it (back in 2011) to receiving Arts Council England funding and setting up this website. But yesterday (Tuesday) felt like the first proper day of the project, as I was out meeting and photographing former-beauty queens. I had a tentative contact from Rosalyn last week, telling me she lived a long way from where I was concentrating my actions. She also told me that she would be leaving the UK again soon. With time being of the essence, I quickly arranged a meeting with Rosalyn in Dorset. The sun was out and the train timetable was kind. Although the café where we had arranged to meet had closed down. Worried that we may never meet, I had a look around the station and was relieved to find Rosalyn. I was even more pleased to find that she had her sister Evelyn with her. As we sat and chatted over coffee, I learned that Rosalyn was Miss Dairy Maid 1960 in Margate and that both had entered Miss Margate 1958. 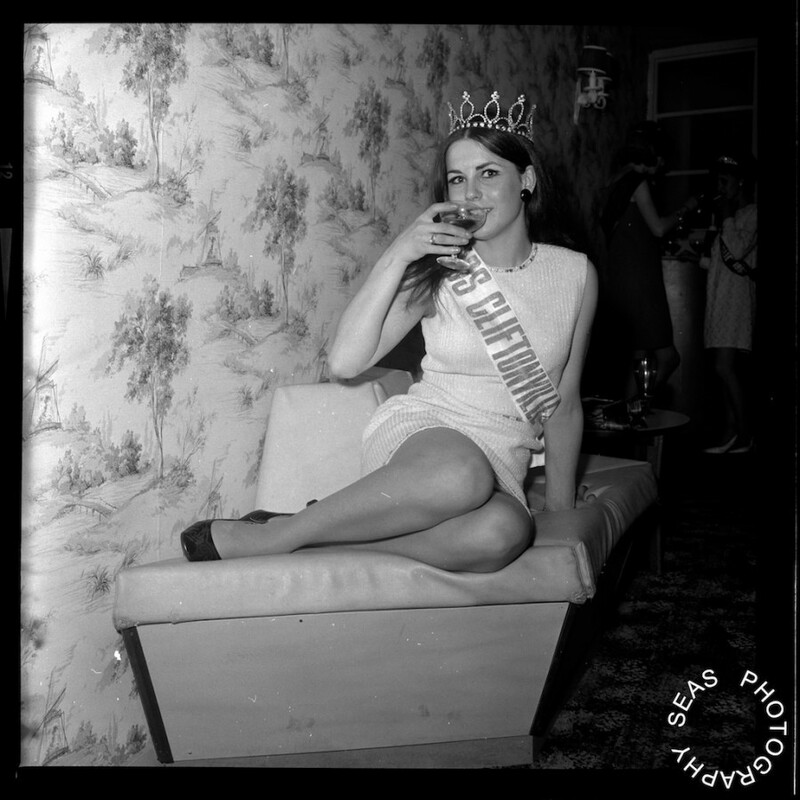 Evelyn was runner-up in that contest and often appeared in the Miss Margate sash, as the competition winner was regularly unavailable for the public engagements that went with the title. 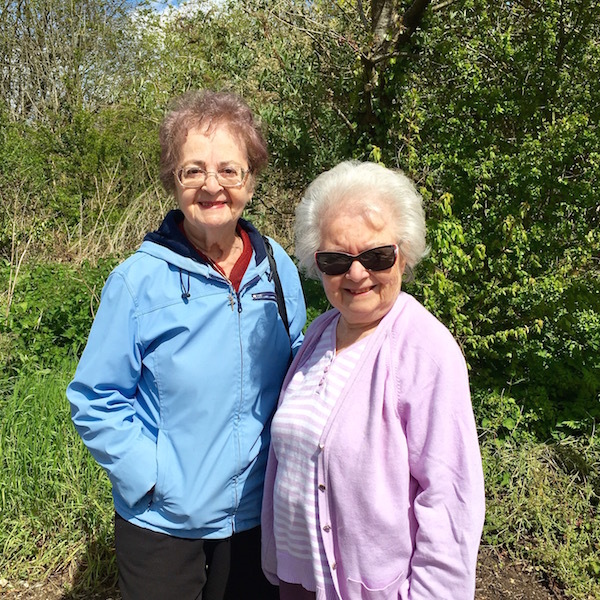 The sisters – whose parents used to run the Rhonallea Hotel in Edgar Road, Cliftonville – were a delight to be around. They were exceedingly generous with their time and their anecdotes of Margate and beauty shows past. I think they’d both had a crush on a young Reg Varney, who was performing in summer season with Benny Hill when they were teens. I look forward to meeting more amazing women like Rosalyn and Evelyn. So do let me know if you, your aunt, sister, mum or nan ever took part in any beauty contest in Margate, Cliftonville or nearby. The more I explore this untapped history, the more I find. And that will just keep driving me on, recording history, telling stories and making sure those voices are heard. Contact details are in the About section. But you can simply email on margate@my-beauty.co.uk. I was pleased to have the chance to write an article about My Beauty for the Thanet Gazette last week. It has already paid dividends, with several beauty queens getting in touch after reading my call out for anyone who has taken part in beauty shows in Margate. The article also detailed my first event, which will take place at Batchelors Patisserie at 246 Northdown Road, Cliftonville, from 1pm-4pm on Thursday the 9th of June. I’m offering free cakes and coffees for any beauty queens who come along. 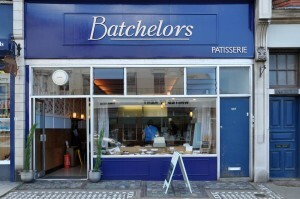 I wanted to use Batchelors as it is somewhere that still exists in Cliftonville from the area’s heyday. Hopefully some former-Miss Cliftonvilles will be enticed in. So if you know any former-beauty queen contestants from any show in Margate (from the Lido contests to Miss Westbrook) who may like a bun or a doughnut, then do send them along. Or just come along and say hello and see how I am getting on with the project. It would be great to meet you. I am seeking to collect memories, photographs and items such as programmes, judging cards and sashes. Everything will be returned and I can always visit people at home and pick items up. I’m also interested in hearing from judges, photographers, sponsors or promoters of shows. More to come soon, including details of an event at Dreamland, Margate. My Beauty is now live. I am seeking former beauty queen contestants from the hundreds that have taken place across Margate’s history. I am seeking to create a new exhibition and book from the photographs, memories and ephemera of those who took part in the shows, which peaked in the 1960s. Prizes could be life-changing (some enough to buy a house with) and the shows were a feature of the town, its press, its image of women and local pride. Such a history has never been attempted before, leaving these contestants missed out of the history of a town that is on the rise once again. My aim is to correct that, looking at the fashions, attitudes, desires and culture of this important era in Margate’s history. 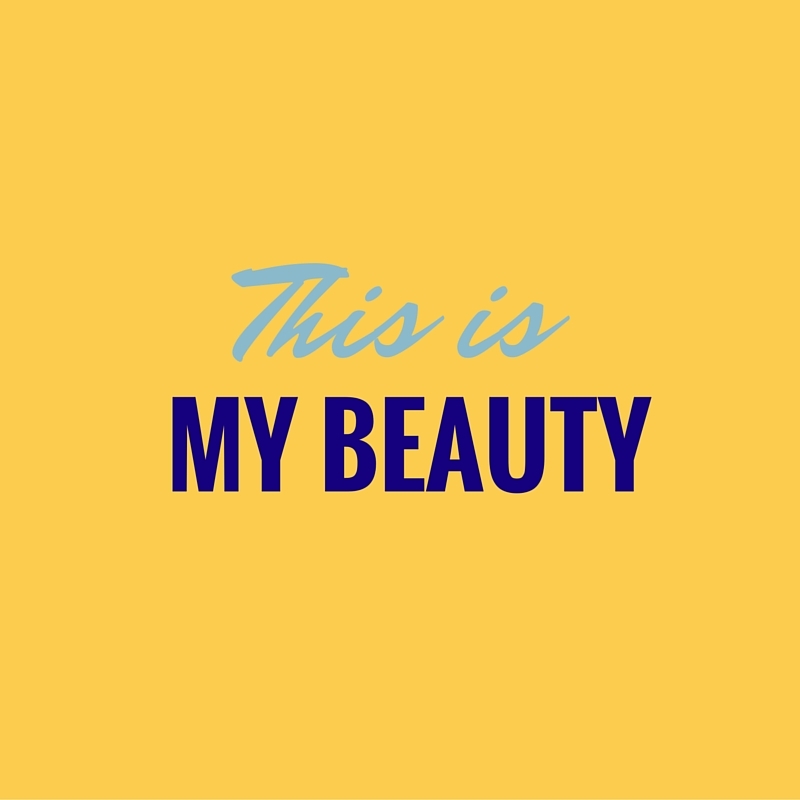 Please contact me on margate@my-beauty.co.uk if you were ever a contestant in a beauty show in Margate, Cliftonville, Westbrook or anywhere in the CT9 postcode, from your workplace to the Winter Gardens or Lido. I shall be posting pictures of beauty queens up here regularly, as well as on the My Beauty Facebook page.